Prior to joining Barclays, she was the Chief Financial Officer (CFO) of Standard Chartered Bank, South Africa and was based in Johannesburg. She had previously worked in Standard Chartered Bank, Ghana in senior roles in both Finance and Corporate Banking departments. She has over 23 years in-depth experience in Banking and Finance having spent the recent 15 years in the banking industry. Over the last three years as Managing Director of Barclays Bank Ghana, Patience has built a high performing and more gender diverse leadership team; and under her strong leadership, the performance of Barclays Bank Ghana has consistently exceeded targets resulting in the business regaining Top three revenue and profit position in the local industry, achieving higher return on equity (the highest among the African entities). In addition, her passion for excellent customer service has translated into greater customer focus across the bank as well as greater focus on innovation. The marked progress seen on her watch has led to employee engagement being at its highest. Patience, who is a product of Wesley Girls High School in Cape Coast, holds an MBA (Finance) and a BSc in Business Administration (Accounting Option, First class honours), both from the University of Ghana Business School. She is a certified professional accountant and a member of the Institute of Chartered Accountants, Ghana. 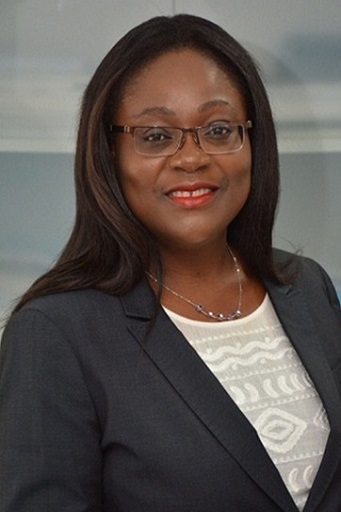 Patience’s additional roles and responsibilities include: Governing Board of the National Banking College (February 2017 to date); Council Member, Executive Women Network (April 2015 to date); Advisory Board member, College Advisory Board, College of Education, University of Ghana, Legon, (March 2015 to date); and Lead Sponsor of Barclays Ghana’s Women’s Network Forum, (November 2013 to date). Various awards received in recognition for her personal contribution to the industry and society include; Nobles International Award (2013), Africa Female Economic Champion-Banking (Centre for Economic & Leadership Development (CELD)-2014), Induction into Global Women Leaders Hall of Fame (CELD- 2014) and Woman of Excellence in Finance (Ghana CFO Awards 2015). She was also named among the Top 50 Rising Stars in Africa (The Africa Report, May 2014).